Ever wondered what life at an artist retreat is like? What about an artist retreat visited by murder most foul? 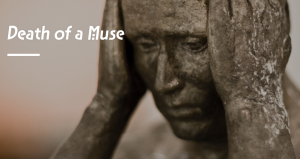 Introducing a new character, and a new series, Death of a Muse is the story of a cat and a damaged artist, both wrestling with death. 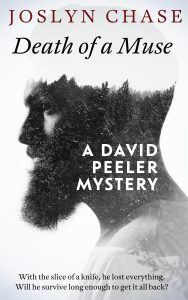 David Peeler, a sculptor poised for a brilliant career and an equally anticipated marriage, loses it all at the point of a knife. In a last-ditch effort to find a gleam of his former sparkle, David attends an artist retreat where he enjoys the companionship of Muse, the resident tabby. Until someone kills the cat. Proving who did it may be the key to getting it all back, if he can solve her murder before he shares her fate. If you love crime stories with a puzzle to solve, grab Death of a Muse today. Take a look at what I put together to share my new book with you! I’m always working on more stories, more extras and bonuses for my readers. Stay tuned to what’s coming. There’s a live action trailer for Nocturne In Ashes in the works. And a couple audio files, as well. 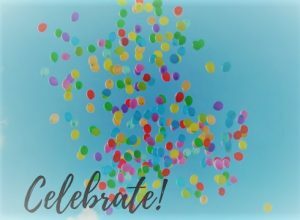 My story, I Am Not A Crook, just won second prize in The Write Practice Spring contest. It’s short and not very sweet. In fact, it’s downright smelly. Why not give it a read and see if you agree with the judges? For a peek at the trailer, click here. I’ve got lots more going on, and I’ll post it here, but to get first crack at bonuses, updates, and free goodies, make sure you sign up for my readers’ group. You’ll get two simple emails a month from me, and an occasional extra update. I won’t nag, spam, or share your information with anyone. I appreciate my awesome readers, and I’m working hard to bring you more of the stories you love. Do you love mystery and suspense? Have you taken my survey yet to share the love? Let me know what you think in the comments.